Which is the best to the Cinque Terre? It’s up to you to find “your” best way to get to Cinque Terre . Trains can take you from any major city in Italy to the Cinque Terre. (If you’re interested in staying in Rome or Venice before or after your stay in the Cinque Terre, please let us know – we can help you with these arrangements!). You probably will need to catch a train from your arrival city to La Spezia Centrale and then connect to a local train that will make local stops, including at each of the Five Lands. You’ll want to take the train that terminates at Sestri Levante; it’s this train line that stops at the Cinque Terre. For train schedules and ticket prices, click here. Train departure and arrival schedules are also posted at the train platforms. A train schedule will help you ensure you board the right train. Within villages, the best way to see the most at a leisurely pace is to walk. The streets are charming, but some of them can be steep! Most villages provide shuttle services to take you up some of the hillier roads (i.e. Corniglia). 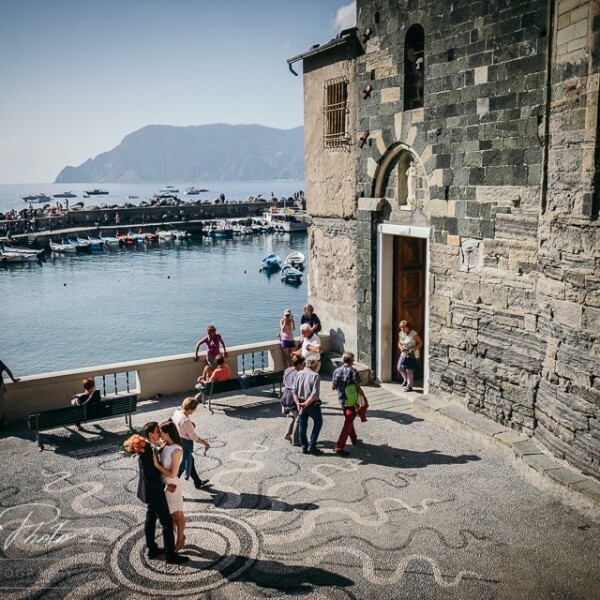 “Cinque Terre Riviera” can direct you to the shuttle stops closest to your property. Finally, taxi service is available at each of the villages. Make sure you validate your train ticket before you board your train (You could face fines if you don’t). There are usually small (often yellow) boxes near the train platforms and insert one end of your ticket in the box and the machine will stamp your ticket. If you’d prefer a private transfer (and don’t mind traveling along some very winding roads), Cinque Terre Riviera can arrange for a car to pick you up from wherever you are and bring you to your accommodation here. The drivers are prompt, courteous and facilitate comfortable transport. Please click here for rate estimates. Driving within villages should be avoided if at all possible. The streets are winding, narrow, and thoroughly charming, and they also were built before the time of cars! To the joy of most people who live and visit here, cars “including taxis” are prohibited in many places. Parking is extremely limited and in many places non-existent. If you have any questions about how to get to your accommodation, or about how to get around once you arrive, please ask us! We have lived and worked here for over 20 years and would be happy to assist you. For those traveling to us by car, we can assist you with directions once you have finalized your reservation with us! Try to avoid driving here if possible. Parking, or the availability of car parks, is extremely limited. You likely will have to park your car in Monterosso, La Spezia or Levanto, even if you are staying elsewhere in the Cinque Terre. Also, while Riomaggiore and Manarola are accessible from major cities by highway routes, the other villages are difficult to reach. And, even if you could reach the villages by car, the rules – if not the roads! – will prevent you from driving into the center of town.